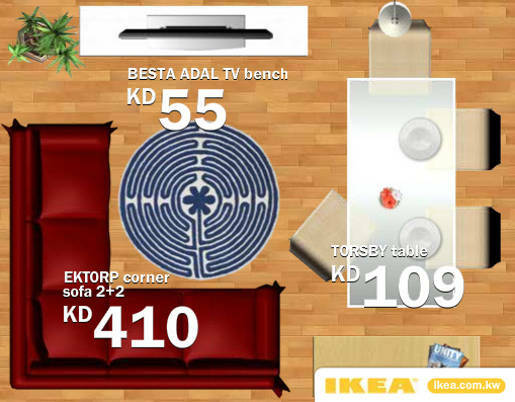 IKEA in Dubai recently ran “Resize-a-Room”, an online interactive campaign using a resizable banner ad. Home and room sizes here vary as much as the people but no matter the kind of living space people have, IKEA has a design and furniture solution to fit their lives. Using the small size of a banner to their advantage, Memac Ogilvy created a resizable ad that dynamically changes to fit the space it’s moved to. 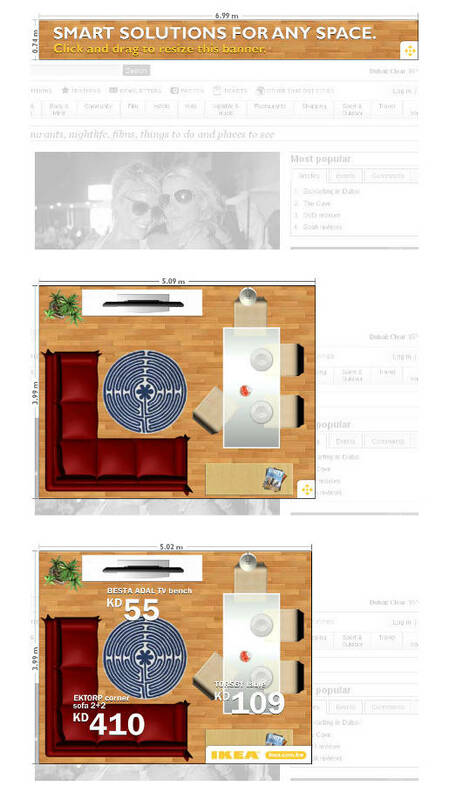 People play by clicking and dragging the banner into the shape they choose and watch as the IKEA furniture pieces work within each newly allotted space. The Resize a Room campaign was developed at MEMAC Ogilvy, Dubai, by executive creative director Till Hohmann, creative director Preethi Mariappan, art director Rafael Guida, copywriter Amina Abdel-Halim, flash Developer Sarabjeet Singh, and media strategist Anna Gibbons.